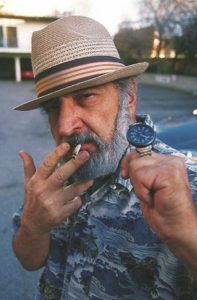 Jack Herer, a well know activist and author who also has popular strain of marijuana named after him, has urged people to vote against the “Regulate, Control and Tax Cannabis Act of 2010”. 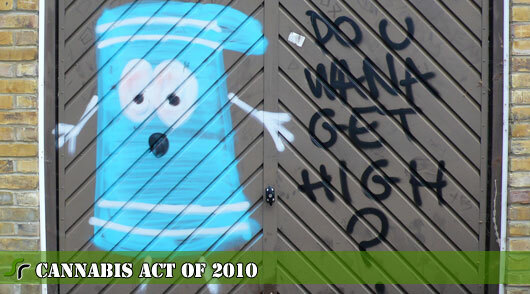 Herer’s main complaint about the initiative is that it will unfairly tax marijuana consumers. Supporters of the initiative are using the $1+ billion revenue for the state as a major selling point to voters but Herer, who spearheaded his own California initiative prior to suffering a near fatal heart attack last year, says marijuana should be legal without a tax or limitations on quantity or growing. Another segment of the marijuana industry that is strongly against the legalization initiative is the thousands of marijuana growers and distributes that earn a living off the huge price markup on marijuana’s illegal status. With consumers able to grow their own marijuana and the impending gold rush of commercial businesses that will be looking to capitalize on the new market, prices are surely to drop as supply will overtake demand, forcing many industry outlaws out of business. Fear of legalization is strong enough in Humboldt County, a self-proclaimed marijuana mecca of California, that civic leaders, activists and growers all came together for a town-hall style meeting to brainstorm ideas to stay relevant (and keep bringing in county revenue) in a legalized market. It’s not only the pot farmers of Humboldt that fear legalization, the entire county which has been the focus of several documentaries, rely on marijuana to drive it’s entire economy. One of the ideas made at the meeting was to make Humboldt a “Napa Valley of weed”, turning the vast marijuana fields into a destination for marijuana aficionados, with tours, tastings and events. It’s too early to tell if any of the ideas might save Humboldt’s economy but most in the county would prefer to just keep marijuana illegal. Stickers with the saying “Save Humboldt County — keep pot illegal” have been appearing across local businesses in the area.